The individually packaged test factors in this outfit allow several groups to work simultaneously. Spill-proof reagent containers hold enough material for 50 tests each of nitrogen, phosphorus, and potassium as well as pH and soil texture. The 17-pound kit includes instructions and a soil handbook. 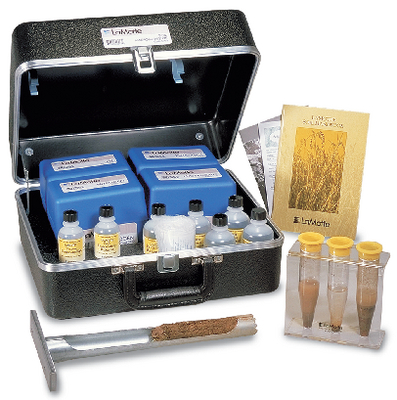 Ordering information: It also includes all labware, a soil sampler, instructions, and a soil handbook packed in a lightweight carrying case.